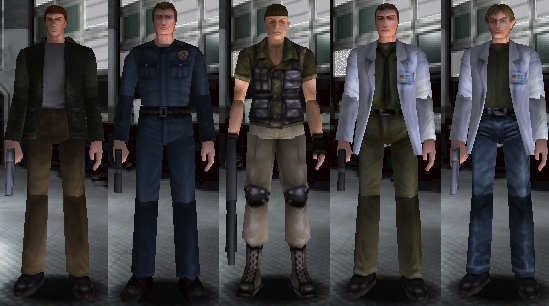 - RPD Street Cop of Resident Evil 1.5 (versions blond hair and brown hair). - Murphy Seeker of Resident Evil 3. - Umbrella Researcher of Resident Evil 2. - William Birkin of Resident Evil 2.